Seester prompted me to catch you up on whatever happened with my Friday plans. I'm pressed for time so I'm going to just list all the things I've done this weekend and you guess which things didn't make the cut. aaaaaaaand, now I'm getting ready to go out for dinner and some music so I have to bail. 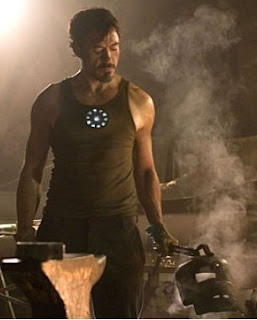 First person who hooks me up with Robert Downey Jr. can have everything I have and everything I am. Promise. It'll totally be worth it. By the way tomorrow's post may well be about how I get fired for wearing my pajamas to work. Uh oh, I don't wear pajamas! Does the total bill include the cat's cardiac tests and all the stuff for the dog? If so, I'm going to guess $482.56. But it could be a ton more because I imagine the prices are a fair amount higher in NYC than here. And exactly what tests, of course. Just a heartworm test is $50 here so if you had all kinds of new fangled tests it could wicked high. Every time I go to the vet (well, every time I take my dog to the vet) I realize I made a poor career choice because they've got to be raking in the bucks. Slurp says it perfectly. I'm sorry I've been gone for awhile, but I'd love to chat with you about RDJ and the sheer yumminess. Could you maybe post a bunch of pictures of him for me? To help shake off this effing anxiety I've been dealing with?? Julia, you reminded me that the doc never even BROUGHT UP heartworm so I have to ask about that too. CRAP. Your guess is a little lowball for what I thought it was going to cost and FAR lower than what it actually cost. Care to guess again? Wow, we should get tax deductions for these lovely creatures! I'm going to guess $987.95. I lowballed my initial guess a LITTLE bit because there's nothing worse than someone guessing higher than the actual cost and stealing your thunder. Hopefully, for your sake, I'm too high this time! You've got it bracketed Julia. Right in the middle there, ringing in at a couple of dollars under $750. The only time I've spent more than that on one animal was when the pooch was hospitalized for 3 days and all Elvis' stuff was outpatient. Woof. Next ultrasound in 9 months.